The Ducks have made it no secret they hope to get bigger and stronger on both sides of the line. Mario Cristobal envisions Oregon being a punishing, physical team much like his last home at Alabama. 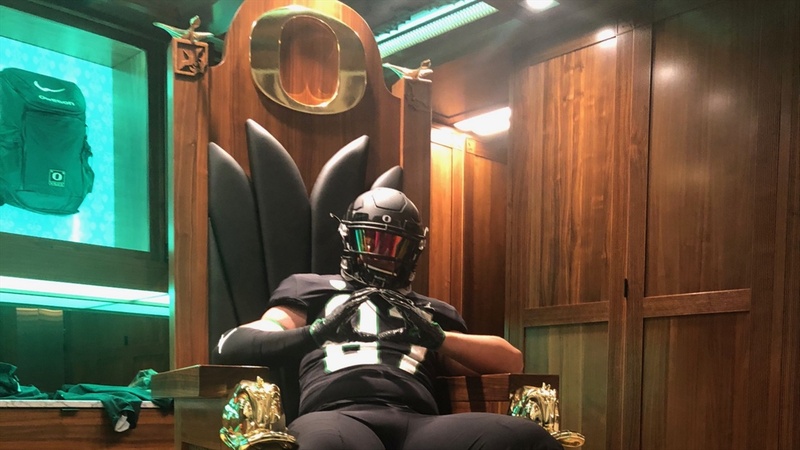 Oregon hosted a strong group of visitors this weekend but one of those key targets was Higley (Ariz.) defensive lineman Ty Robinson‍. The 6-foot-6, 270-pounder has the versatility to play a number of positions on the defensive line, a very big key for Oregon. Robsinson came to Oregon this weekend with his mother, a key part of his recruitment. To continue reading, you must be a ScoopDuck Premium subscriber.